I tried to be brave and wear all black in Miami.What was I thinking, you may ask? I was asking myself the same question when I sweating in places I cant mention here.Had to go back to the Hotel and changed into another white dress I had to buy since it was so hot. 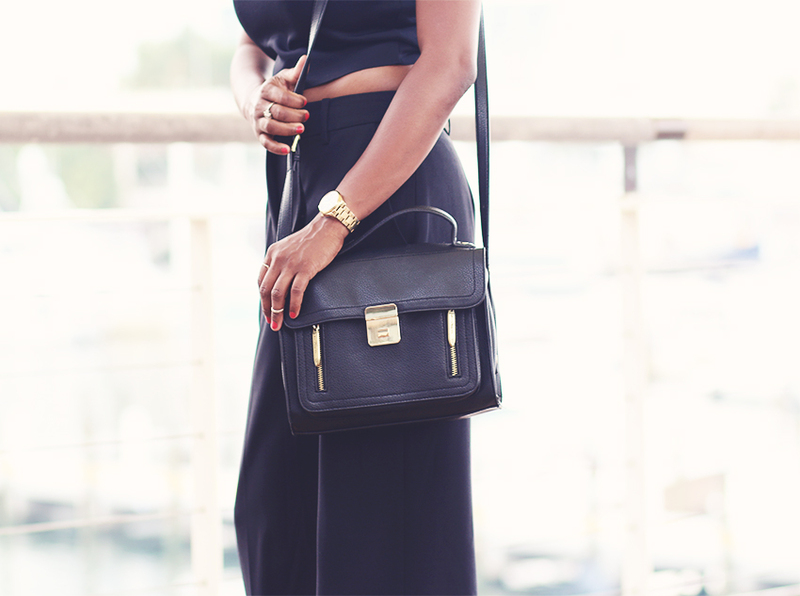 The culottes have been one of my favorite thing to wear this season.I paired these black ones with a simple black crop top.I've finally got my Phillip Lim bag fixed,it's the perfect travel bag.